Choose a variety of strength training routines for kids and adults to fit all shapes, sizes, and fitness levels. Build muscular strength and power with workout routines that include much more than just standard weight training. Wondering if your child's basketball conditioning program should include strength training exercises? Kids as young as 8 or 9-years old can see a 40-50% increase in muscle strength over a 6-week period. Stronger bones and stronger muscles mean a reduced risk of injury for young athletes. Physical strength allows players to perform better. Start about 5-6 weeks before the sports season starts, and exercise 2-3 times a week. Have parental supervision. It's a good idea for any athlete under the age of 16 to be supervised by an adult. To avoid injury, it's important that kids use proper technique when doing any type of resistance exercise. If the athlete experiences any pain, stop and consult your doctor. Record your progress. Keep a running track of the number of repetitions and type of resistance you do. At the end of 6 weeks, you'll be surprised at your improvement. Once your young player starts to become more serious about the game and wants to become a more competitive player, it's definitely time to consider some fitness workouts that focus on building overall strength. That may seem surprising and even contradictory to other things you've heard or read about weight lifting for kids. There's a BIG difference between STRENGTH training and WEIGHT training. uses light resistance to increase the amount of muscle fiber. uses power lifting with heavier weights to increase muscle size. General strength training is good for little kids, while workout routines using weights aren't usually recommended until kids reach puberty. And while basketball weight training is definitely beneficial for older players, there are some significant concerns regarding weight lifting for young athletes. So, how do strength training routines work? They expose the athlete's muscles to some form of repeated resistance which stimulates the muscles to grow and adapt to heavier stress loads. When muscles face repeated stress, they recruit more muscle fibers to help out. As more muscle fibers get involved in the action, strength increases. As the muscles become stronger, they stimulate the bones to deposit minerals that increase their strength as well. Strong muscles and bones are very important for maintaining a high level of health and fitness. Young kids get stronger even though it may not look like it on the outside. You won't see their muscles get visibly bigger because the change that takes place happens on the inside. Resistance band strength training routines increase strength with the help of elastic bands of various stiffness levels. They are portable and inexpensive and are effective for use on muscles all over the body. Before beginning your workout, you'll need to decide what types of bands will work best for you. Instead of using weights, resistance is provided by a training partner. Both the amount of force applied and the speed are controlled by the partner. Though they can be effective, these exercises can be difficult to perform if one partner is a lot stronger than the other one. Also, it's impossible to measure the amount of resistance applied or track improvements in strength. Calisthenics are traditional exercises common to most of us that build strength and stamina using nothing more than your own body weight. Calisthenic workout routines have the greatest fitness benefits when multiple repetitions of exercises are done. Some of the most popular exercises are push-ups, squats, lunges, different types of sit-ups, and jumping jacks. Plyometrics are short, explosive exercises designed to produce fast and powerful movements. They build muscle power and speed by getting muscles to exert a maximum amount of force in a short period of time. The hugely popular Insanity Workout for adults is an example of intense plyometric strength training routines. Medicine balls come in a variety of sizes and weights ranging anywhere from 2-25 pounds. 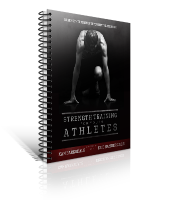 They are very versatile in the way they can be used during strength workouts. They work great individually or you can use them with a partner. 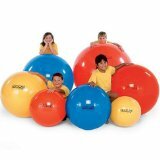 Also known as Swiss balls, therapy balls, fitness balls, or stability balls, these inflatables come in a range of sizes. They are an excellent aid for improving balance, core strength, and overall conditioning for a variety of muscle groups. Weight lifting uses the force of gravity with the help of weighted bars, dumbbells, or weight machines to oppose the force generated by the muscle at work through muscular contractions. As more weight, speed, or number of repetitions, the additional stress on the muscle helps build strength. Not only are strength training routines good for overall fitness, but they'll definitely help improve your youth basketball player's overall game. Stronger legs help players jump higher, stay down longer in a good defensive stance, and keep their balance when they get pushed around. Stronger arms allow players to rip down rebounds, increase their shooting range, and make good, sharp passes.